Mark Cross Primary School enjoyed a morning with the roadshow, teachers were also involved to be the ‘chefs’ and Year 6 champions were given the assistant roles, the whole school welcomed a question and answer session, incorporating the importance of carbohydrates, proteins and wholegrains-as well as sugars and fats. 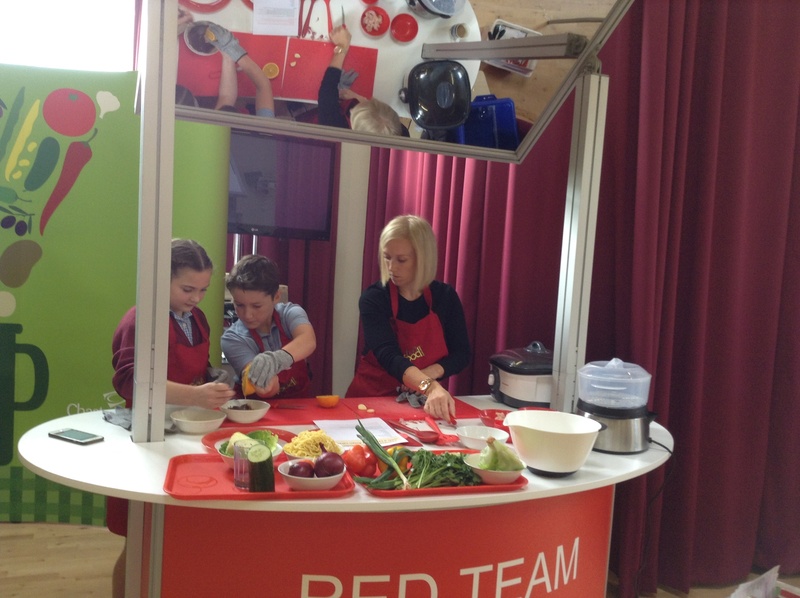 Both teams were fab-it was neck and neck at one stage but the Green team won with a freshly prepared stir fry…. 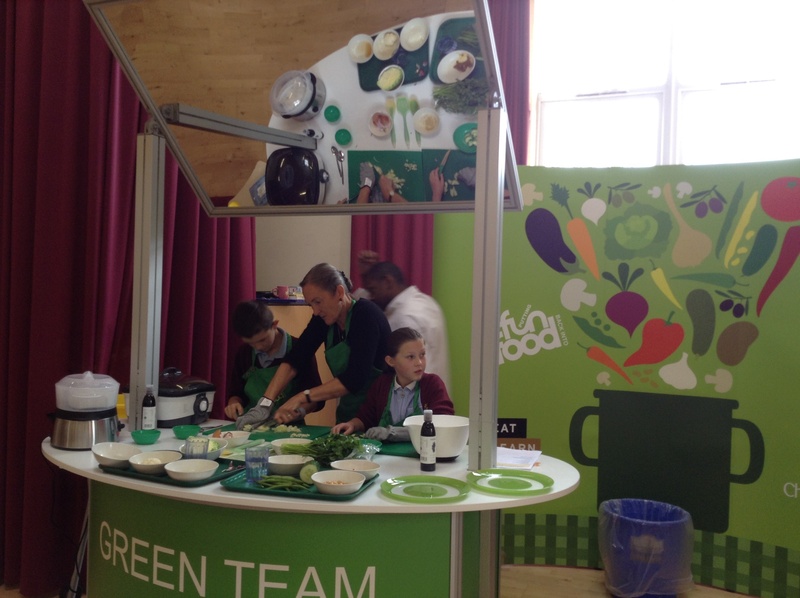 The school hall smelt wonderful-the importance of freshly prepared food hit home.